Theranos, the blood testing startup accused of an elaborate fraud, told shareholders it will be shutting down. Founder and former CEO Elizabeth Holmes is facing criminal charges. David Taylor, who became CEO in June, said Theranos will dissolve after it attempts to pay creditors with its remaining cash. The news was first reported by The Wall Street Journal, which published the letter. The letter explains that the company "intends to enter into an assignment for the benefit of creditors." 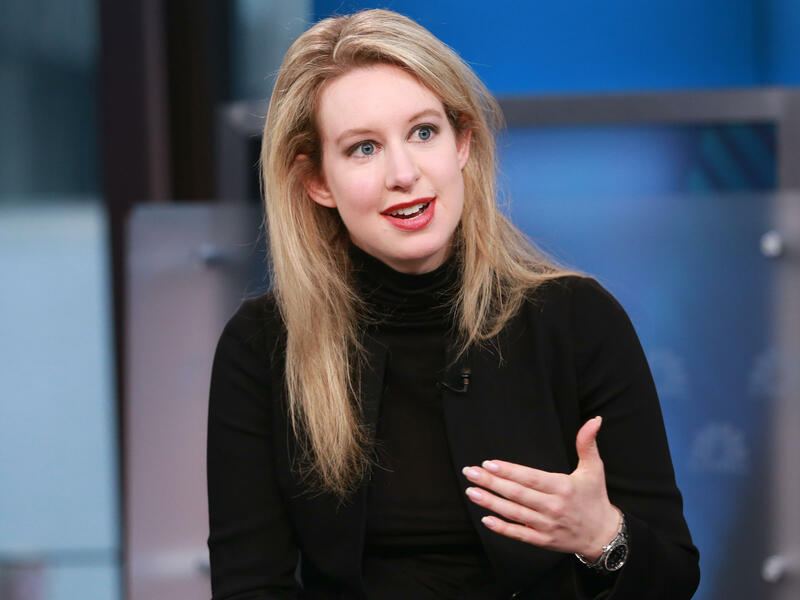 This arrangement would allow for all of Theranos' assets, other than its intellectual property, to be assigned to a third party in trust for the company's creditors. The company says it has about $5 million remaining in cash. "Because the Company's cash is not nearly sufficient to pay all of its creditors in full, there will be no distributions to shareholders," the letter states. After the assignment process, the company intends to dissolve. The Journal reports that most of the company's remaining employees worked their last day on Aug. 31, while Taylor and a few others have just a few more days on the payroll. Holmes had claimed that the company's technology could run comprehensive lab tests using just a few drops of blood — a pitch that appealed to Walgreens, which partnered with Theranos to offer the blood tests in its stores. Instead, in a criminal indictment, the Justice Department says that Holmes and her then-boyfriend, former President and COO Ramesh "Sunny" Balwani, perpetrated "a multi-million dollar scheme to defraud investors, and a separate scheme to defraud doctors and patients." They each face nine counts of wire fraud and two counts of conspiracy to commit wire fraud. "Holmes and Balwani knew that many of their representations about the analyzer were false," the Justice Department said when the charges were announced in June. "For example, allegedly, Holmes and Balwani knew that the analyzer, in truth, had accuracy and reliability problems, performed a limited number of tests, was slower than some competing devices, and, in some respects, could not compete with existing, more conventional machines. " As NPR's James Doubek reported in March, Holmes has already settled civil charges brought by the Securities and Exchange Commission, agreeing to pay a $500,000 penalty and to refrain from serving as a director or officer of a publicly traded company for 10 years. As part of the settlement, Holmes and Theranos did not admit or deny the allegations.